E172 | The CrossFIt Open Is Over, Now What? 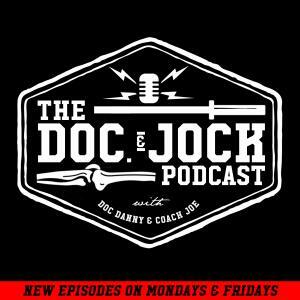 On this episode of the Doc and Jock Podcast Doc Danny and Coach Joe look back on the 2017 CrossFit Open and discuss your options for beginning your training for next year! The key is to plan, or you're planning to fail! Your plan for improving your performance in next years CrossFit Open starts with evaluating this year's performance and attacking what held you back. Whether you need to broaden your strength base, work on gymnastics, rap up your capacity, or sharpen your mental game, it's important to sit down with a coach and honestly assess your weaknesses. Then make a plan on how to attack these weaknesses and get better. -How to create a program that lays over your daily training so you don't overtrain. Lastly we remind you that for most of us the CrossFit Open is just something to do for fun, don't take it too seriously.